A few weeks ago, we welcomed some friends from America to our office in London, members of the United States Digital Service (USDS) and 18F. Combined, their work is an approximate equivalent of what we're doing at GDS in the UK. (Code for America are friends of ours too, but their remit for working with US cities falls into a different category.) We've already posted about how pleased we were to see them, but I wanted to write in a bit more detail about what I made of it all. It was a fascinating week, for all sorts of reasons. It was a delight to put some Twitter names to faces, to spend some quality time with our colleagues and get the chance to sit and really, properly chew over the work we’re all doing. At one point, we grabbed some cameras and recorded a chat between myself, Mikey Dickerson and Haley Van Dyck of USDS, and Hillary Hartley of 18F. You’ll see snippets of that conversation embedded in this post. Also joining us that week was Todd Park, former Chief Technology Officer of the United States and now a technology advisor to the White House, based in Silicon Valley. As CTO he was very successful at hiring technically skilled people away from the world of start-ups and global internet companies, and getting them into government. His new role in Silicon Valley puts him in the right place to continue and expand on that work. One thing became clear quickly during their visit. We’ve known it already, I think, deep down. But after we’d had the chance to talk things through it really hit home: although we operate in different circumstances operationally and politically, we have a lot in common. As the week went on, we kept discovering more and more common ground. The process of doing government, of providing public services, is much the same all over the world. We realised just how international the scope of our work is. Strip away policy details and the user needs over here end up looking very similar to the user needs over there, or in any similar modern democratic society. Users everywhere need to understand tax policy, and be able to pay the right amount. Users everywhere need to get permission to do things, like drive a car or sell certain goods. Governments everywhere need to gather and store data about things like businesses, or schools, or imports and exports. I’m not suggesting that there will be a single one-size-fits-all solution to each of these problems. What I am saying is that the more our teams share what they’re doing and how they’re doing it, the easier it will be for each team to meet their users needs. Because making things open makes them better. Here's a transcript of the USDS, 18F and GDS: Sharing and swapping stories video. It’s humbling to realise this, but it’s true, and our American colleagues are the first to admit it: they're copying us. They’re focussed on user needs, not government needs, then starting with small prototypes and iterating upwards. The 18F team is working on 18 digital services in an approach very similar to our our transformation programme of 2013-2015. In particular, they’re building partnerships across the rest of government. This is a crucial step and I’m really pleased to see it happening in the US. No single organisation can bring about transformation on its own - GDS couldn’t, and didn’t. It has to be a team effort, involving everyone from senior decision-makers to the people on the front line, the ones who most often end up actually meeting and talking to users. Both USDS and 18F operate from the centre. Of course we operate in different circumstances, politically and institutionally (the US has the federal/state divide that we don't have to contend with), but they are clearly working from the centre, outwards. They have support from the very highest level - the President himself can (and does) intervene to make sure people listen to their advice. The Americans are not alone - the Australians are starting a similar organisation to do similar work. The Estonians have invested in digital government, particularly in the form of digital identities for citizens. President Obama in the US, Communications Minister and former Liberal Party leader Malcolm Turnbull in Australia, and Prime Minister Taavi Rõivas in Estonia have all made their commitment to digital transformation plain. Prime Minister Rõivas approves parliamentary bills on his smartphone. According to Fast Company’s profile of what it calls “Obama’s stealth startup”, President Obama helped USDS with its recruiting, sitting in the room and asking people to join. Our American colleagues aren’t just chipping in from the sidelines with suggestions and tweaks. They’re embedded, they’re part of the system. They’re making changes from within. “Their purpose is to remake the digital systems by which government operates,” says the Fast Company article. They plan to expand the team to 500 people by 2016. You can’t have a simpler or clearer purpose than that. We’ve had our senior support, too. GDS would not have begun without Martha Lane Fox’s recommendations, and without Francis Maude’s steadfast support for every single one of them. Now we have Matthew Hancock as Minister for the Cabinet Office and he, too, has been quick to vocalise his support. We appreciate that. Here's a transcript of the USDS, 18F and GDS: Building partnerships in government video. The Americans’ emphasis on recruitment is something I wish we had thought about more clearly and earlier than we did. GDS grew incredibly fast. Our first major project was building the new GOV.UK beta, then we went on to run the transformation programme, set up the Office of the Chief Technology Officer, build GOV.UK Verify, and much more. 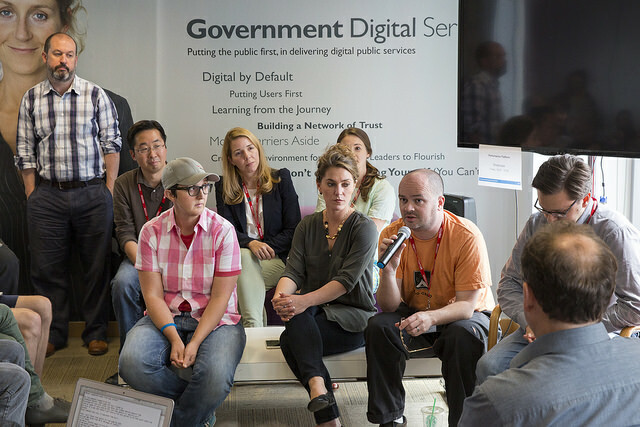 We brought some incredible digital talent into GDS and departments, building a new digital profession in government. That doesn’t just mean developers, by the way - it also means user researchers, delivery managers, and more traditional career civil servants who brought their expertise of how to get stuff done in Whitehall to GDS’s aid. Todd Park made this sort of recruitment a priority early on - earlier in USDS’s timeline than we did in ours. He appealed to their sense of patriotic duty, in a way which Mikey Dickerson expressed it beautifully when he wrote: “Some of you, not all of you, are working right now on another app for people to share pictures of food or a social network for dogs. I am here to tell you that your country has a better use for your talents.” That message got heard. I also admire the Americans’ ambition. In the past, we’ve compared some of the work the UK government does with something like a medium-sized bank, because that’s the number of transactions we’re talking about. It’s really not that huge, and many commercial web services cope just fine at far greater scale. Government in America, though, certainly is huge. It’s also a federated system; central government may deliver relatively few services for a country that size, but the scale of the challenge at a state and city level remains. Just the fact that some of the early hires had to move across three time zones from San Francisco to Washington D.C. is a significant challenge. So while they’re re-using our phrase “the strategy is delivery”, it’s the way they’re putting that strategy into action that I find most interesting. They, like us, have a strong centre (though they’d spell that differently) and a strong central mandate. As I made clear above, we’re seeing this around the world: digital transformation of government thrives under what the Americans call political “air cover”. 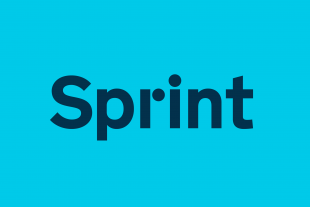 Here's a transcript of the USDS, 18F and GDS: Why the strategy is delivery video. We’ve long said we owe it to people to make government services and technology as good as what the private sector provides. We will make - we’ve already begun to make - significant cost savings as a result, but those savings are a side effect. They’re not an end in themselves, nor are they the driving force behind change. The driving force is user needs. The better we get at meeting those needs, the more we can earn the public’s trust. At the same time, we really are different to the private sector. We can’t switch off our sites or services at will. We can’t say “this problem is too hard, let’s sell something else instead, or move on to more fun project with another group of our friends”. We’ve come in to fix the hard problems, and we have to ride it out until they’re fixed. And then be around to tweak them when the landscape changes. Public servants don’t pivot. In a Britishism that’s become popular in the States, it's the long game. That’s what our work is all about, on both sides of the Atlantic and around the world. We exist to make sure government is as clued up about technology as its citizens are. As Hilary Hartley says in that Fast Company article, you end up with “much better clients” and “agencies who understand a new way of doing things.” Today’s public services must be designed with today’s technology, to meet today’s user needs. Like the digital services we build, government should be responsive. That’s why we keep doing user research after a service has gone live. Why we’re building government as a platform, which will make it easier and cheaper for departments to build services based on their particular areas of expertise. Why we work in the open, be it about service standard assessments or the ways our services work. And why we’re constantly looking for ways to be more open, more responsive. Simpler, clearer and yes, faster.